Let’s be honest; it’s no fun having to remove ticks from your cats and dogs during the summer season. These blood-suckers are nasty to look at, filled with your best friend’s hard won blood, notoriously difficult to dislodge, and make it hard to even spot because they are often too small to be easily seen. What’s more, they can be the vessel that transports a tick from the outdoors into your family’s house. 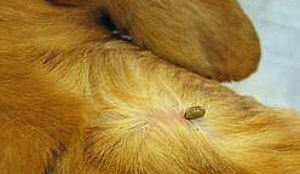 Ticks can become engorged under a dog’s fur before you even know there is a tick attached. When you check yourself for ticks, you should always check your pets as well. Leave them as is, and these pests can cause some serious diseases. What can be done to keep your pet tick-free this season? There are a handful of methods for getting rid of ticks, and they work in different ways. 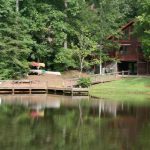 We want to help you understand the options and the tradeoffs associated with each. Here are some ideas that you should consider when looking to preventing ticks from latching onto or infecting your dog or cat. Ticks are very hard to treat because of how tiny they are. If you notice potential insect related unrest in your pet dog or cat, you should give them an over the counter spot-on medication. This kind of medication can be purchased at veterinary clinics, pet stores and online. This is a very effective method for controlling both ticks and fleas. The recommended doses are strong enough to keep these parasites at bay for a month or more each application. Be careful to choose something that is made specifically for your pet, as chemical use for the treatment of one kind of pet can be toxic to another. As such, their labels should be read carefully, and in the case of any doubt, pay a visit to your vet for advice. Note that tick medication will kill a tick that bites your pet, but won’t repel a tick from making itself at home in your animal’s fur. Oral medications that are fed once a month to pets are readily available for cats and dogs. These medicines are strong enough to kill both ticks and fleas and most importantly, they don’t simply provide a temporary treatment to kill ticks but also disrupt their entire life cycle, thus limiting their spread. 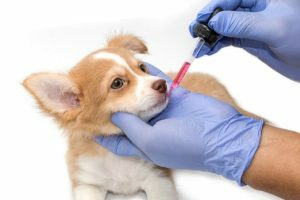 They are very easy to administer, and you don’t have to be concerned about small children coming in contact with your pet animals immediately after treating them. If you prefer, you can ask your vet to show you how to best administer the medication. Oral tick medications might be best for dogs that spend lots of time indoors, in close quarters to your family members. Note that the quality and dosage is dependent on your pet’s size. Be sure to follow the instructions carefully, as the dosage for one pet might be too much or too little for another. As with the OTC tick medication, these oral meds will kill a tick once they bite, but they won’t repel the tick from your pet. Your pet could still carry a tick inside the house with it. The oral medication we tend to like best is Nexgard, as the FDA data shows it tends to have the fewest side effects. Full disclosure, though, the most common side effects tend to be vomiting and diarrhea, so keep an eye on your pet the first time you use it. You are, after all, giving them a pill that they will ingest. See Nexgard Here. A shampoo can keep ticks away for about a month. 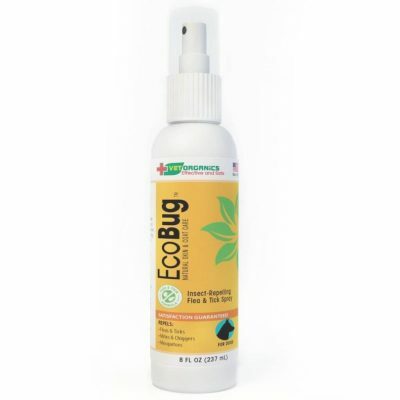 A number of flea and tick control sprays can be found easily from many sources. They tend to be more diluted than the dips and shampoos, and you can target areas on your pet that are more likely to pick up ticks. It is advisable for cat owners to get the pump bottles since the hissing that aerosols make bothers most cats. If you still can’t find a pump bottle spray, spray your aerosol treatment on a cloth and then rub the cat with it. But remember, you don’t need to soak your dog or a cat with spray, but just spray it properly and evenly according to instructions. For areas around eyes and ears, use a cotton ball. Getting the products in your pet’s eyes can cause pain or irritation at the very least. 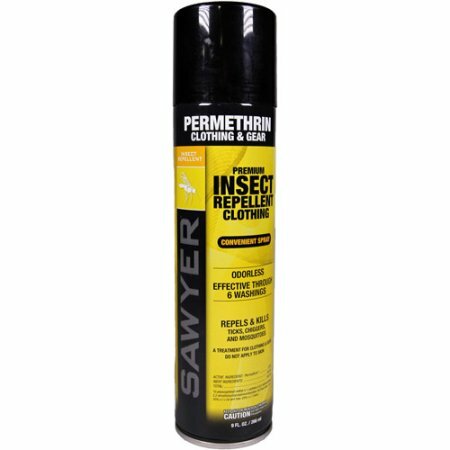 Also, never use sprays containing permethrin on cats as this is toxic to felines and can cause a fatal reaction. Always follow instruction manuals carefully and spray your pets in a well-ventilated environment. Vets Best makes one of the more popular tick sprays. Flea and tick shampoos should always be properly used in order to be effective. To use them properly, work the shampoo in over the entire body of your pet and leave it on for more than 10 minutes before rinsing off. If your dogs gets routine baths anyway, this can be a good way to treat him or her. Always protect the eyes and ears of your pets when applying these shampoos. Cats don’t like being wet in general, so it is often better to pour water over your cat to rinse the shampoo off quickly rather than prolong your cat’s discomfort. The product from Adams Plus tends to be popular among dog owners. Dog shampoos work, but wear off after a couple weeks. 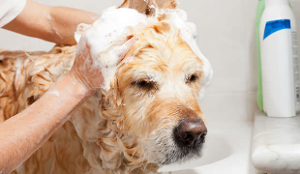 Most shampoo manufacturers say their product will protect the dog for about a month, or four weeks. You will need to plan to shampoo the dog continuously throughout the year in order for this method to work as designed. The benefit is that you might want to shampoo your dog regularly anyway to keep them clean and smelling good, so it is a good way to serve two important purposes at the same time. Powders are another kind of topical medicine, but we have had limited success with them unless used on a dog that mainly lives outside. Anti-tick powders are effective in repulsing ticks from your cats and dogs as well as in killing the parasites, but they must be used with great care when applied because so much of the powder will likely fall off of the fur. Make certain that the powder you are utilizing is the proper dog or cat formula before use, and in addition check for any powders suitability for your cat’s particular age. 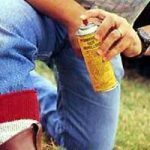 Likewise, ensure you check to ensure the powder is intended to kill ticks and any other parasitic insects your pet might be exposed to in your area. Such powders can cause aggravation to mouths or lungs if breathed in, so take care to use only small amount to reduce this risk and gradually rub the powder into your pet’s skin. 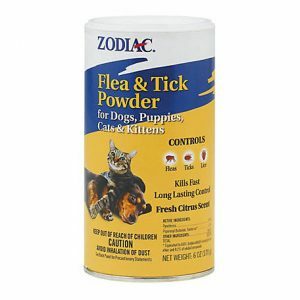 A popular and effective powder product is Zodiac’s Flea and Tick Powder (find here). If you decide to go the powder route, keep powders far from your pets or your own face and eyes while applying. You need to reapply powders more regularly than other methods, about once per week during the peak seasons. Some of these powders can also be spread where your pets sleep and in the different parts of the household your animals frequently visit to prevent ticks or fleas from spreading. If you use one on an indoor pet, consider a natural product. These are the special concentrated chemicals which are further diluted with water. They are applied to an animal’s fur with the help of a sponge. This kind of treatment is not meant to be rinsed off with water after application as shampoos are. The chemicals used in dips are very strong, among the strongest of the products we look at here, so take care in applying them to your pet. Because of the strength of the active ingredient (usually pyrethrin), we suggest only using a dip in extreme cases. A tick collar makes lots of sense, after all, most dogs are already used to wearing a collar. These are chemically treated collars used as an additional preventive measure and can repel ticks. They not only protect the neck and head from ticks, but are in constant contact with your animal’s skin. This contact helps to transfer the chemicals into your dog or cat’s fur and skin from head to toe. However, when putting this collar on your pet, you should leave space for your two fingers to fit as with any collar; otherwise it might be uncomfortable for your pet. A tick collar will repel a tick from the dog; however, if a tick does make it through to your dog’s skin and bite it, the collar will not kill the tick the way some of the other products would. Cut off the excess length of the collar so that your animal isn’t tempted to chew on it. Always watch for signs of discomfort that might suggest your animal is having a bad reaction to the collar’s chemicals. The collar can be a good option, but if you already have a collar or two on the dog (identification, invisible fence, etc) a third can become a bit much. Note that a tick collar can last anywhere from 30 days to 8 months. Be sure you know the details of the one you get, so you use it correctly. 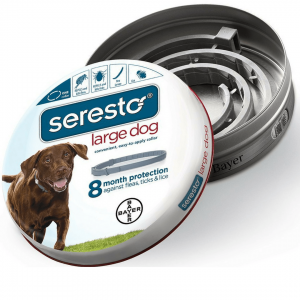 Our favorite it Bayer’s 8-month collar, it is odorless and seems to work well. Find it here. Just because you give your dog a tick shampoo or oral med doesn’t mean you are off the hook for checking them after each time outside. Especially if your dog has been in long grass or other tick habitat, you want to do a once-over to make sure the ticks are not crawling or attaching to your dog. 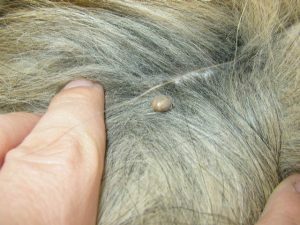 Just like on humans, ticks have favorite spots where they tend to be found on dogs. These are typically places where the dog is unable to easily keep tidy with their mouth. We like the handy graphic on the right, supplied by the CDC, to provide a cheat sheet on where to examine your pet after they come in from the outdoors. 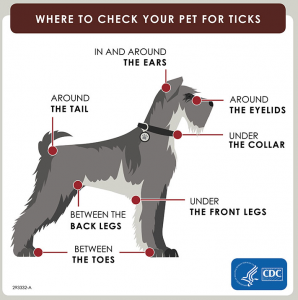 A favorite way to make sure you are getting as many small ticks as possible off your dog is to brush it just before it comes inside. A fine brush will help shake off any ticks that might be crawling around on the fur and are hard to see. Do it before your dog is indoors, so you don’t brush the ticks off into your home environs. If it is too late and your dog or cat already has a tick attached, we did an entire piece on removing an engorged tick. Finally, if you live in a tick-prone area and have a yard that is inviting for ticks, considering taking some steps to reduce the tick population. One such method is using a tick tube. We did an entire piece on tick tubes if you want to do a deep dive on the topic. Having to watch your pet struggling with an infestation of fleas and ticks is probably the last thing you would want to bear. With all these solutions available you will be able to find the perfect means to prevent ticks from bothering your pet that best suits the both of you.